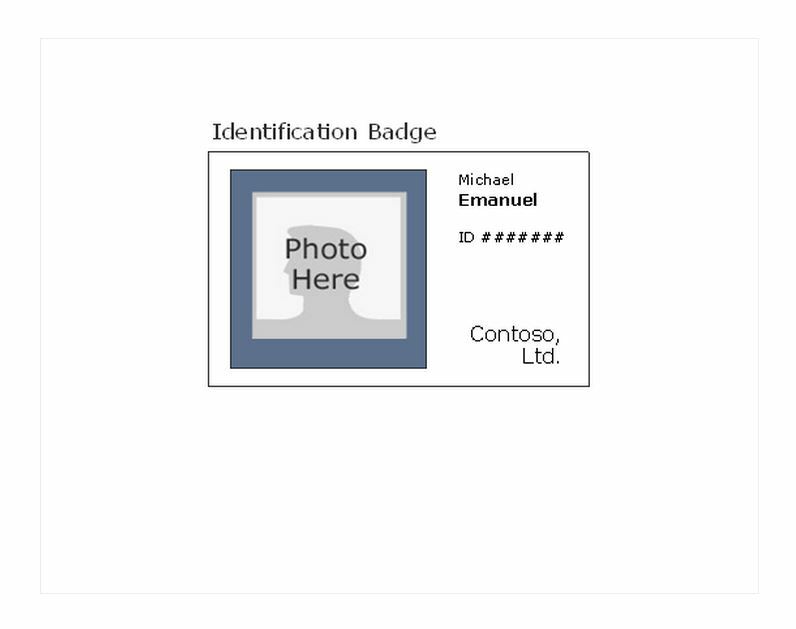 One of the most sophisticated ways that a small company can show that it cares about its employees is to personalize employee ID badges by using a template like this Photo ID badge template for Microsoft Word. The Photo ID badge template for Microsoft Word can not only be used for your employees, it can be used to print a temporary photo ID for visitors to your company, your school or to a special event. Downloadable for free from this page, the template is easily customized, allowing you to create your own look, feel, and event name, as well as change the picture size, type, and style. Determine whether you will use pictures or not and if you do, how you will create them and import them. Will you use a camera and then transfer the files into your template or will you use an online file and insert it from e-mail or the local drive. Fill in the Employee Name and ID #, as well as any other pieces of information that you would like to enter about the Employee. Fill in your Company Name and add a logo by importing a small picture if you like. Consider using a bar code font in order to register your employees using unique IDs. If you use a bar code font and assign a unique number to your employee, you can then program that code into all of your door locks and use the pass as a security badge as well as a photo ID. Similarly, you can have the employee clock in and out using a software time card program by just swiping their badge. Consider laminating the badge after you have created it when you are making badges that are not just for temporary visitors. By encasing the badge in a laminate material, it will last much longer and make a better impression on those who wear it. Consider using card stock that already reflects the company colors and logo before it is even printed on. Why worry about how to position the images on your paper, if you pre-order the paper so that the design is uniform, you will make things easy for your security or human resources person to implement.